Regular compression treatment with added hot or cold therapy provides important relief to angry, inflamed muscles. 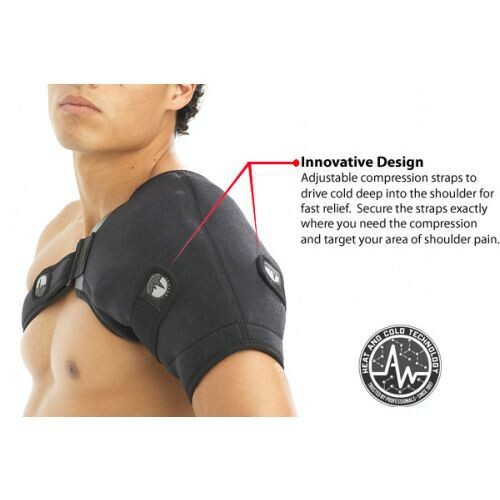 ActiveWrap offers a custom Shoulder Ice and Heat Wrap to treat rotator cuff pain as well as stiff or frozen shoulder. Athletes with rotator cuff issues from throwing or individuals working in a field requiring should-dependent movement can benefit from regular therapy. 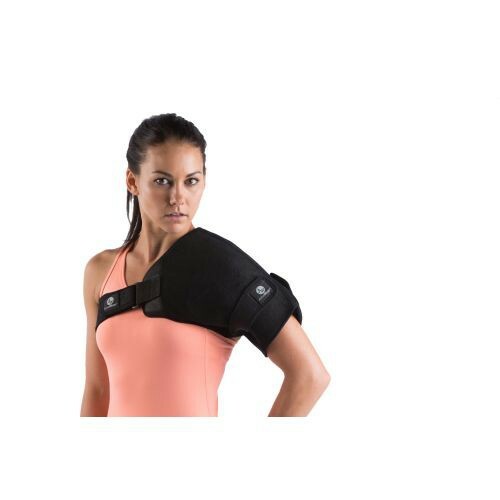 This all-in-one wrap has a unique design to surround the shoulder to give optimal coverage with straps to fasten and adjust for a snug fit. Having a proper fit is instrumental in allowing the hot or cold packs to conform to the shoulder for fast penetration to the tissues. 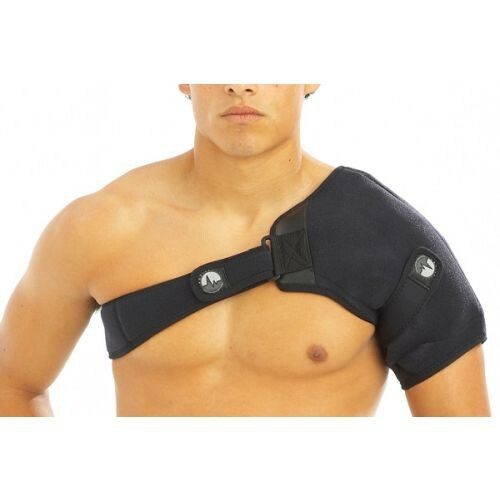 The shoulder wrap contains two inner pockets to house the two reusable, flexible gel packs. The pockets prevent the packs from slipping or needing adjustments. The neoprene wrap features lycra trim and flat-lock stitching to hold up well for laundering when needed. For Hot Therapy, place pack in a bowl with water and microwave to desired temperature. For cold therapy, place pack in freezer for two to three hours.